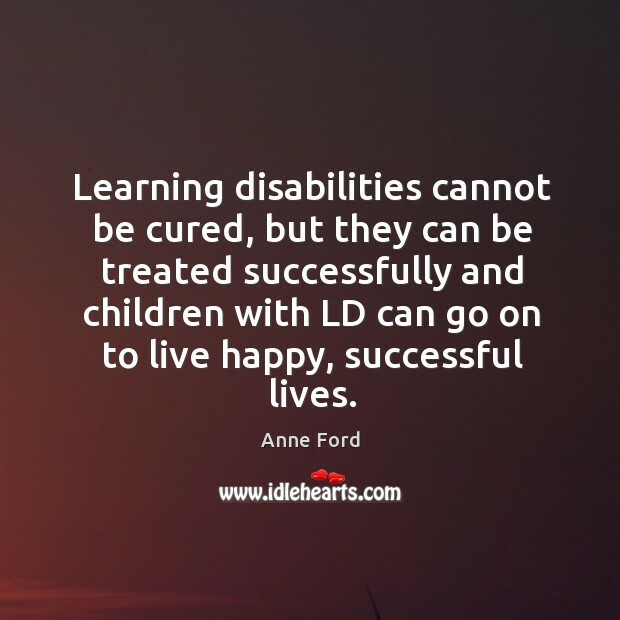 Enjoy the best inspirational, motivational, positive, funny and famous quotes by Anne Ford. Use words and picture quotations to push forward and inspire you keep going in life! 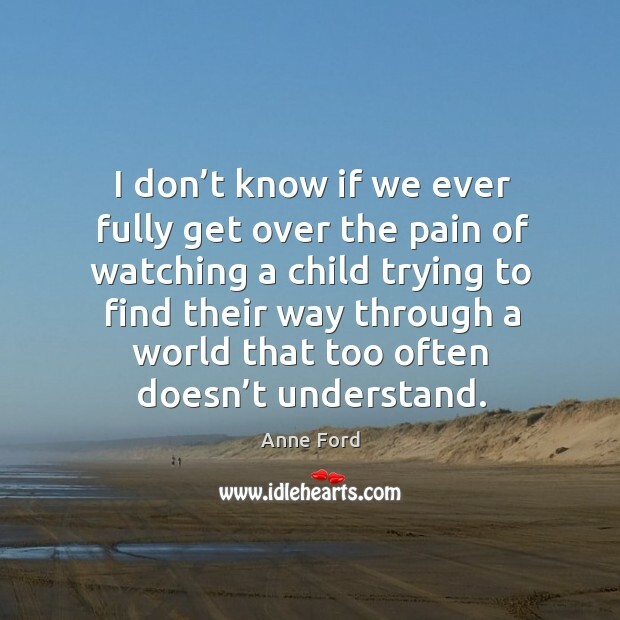 I don’t know if we ever fully get over the pain of watching a child trying to find their way through a world that too often doesn’t understand. I put up a huge wall of denial. 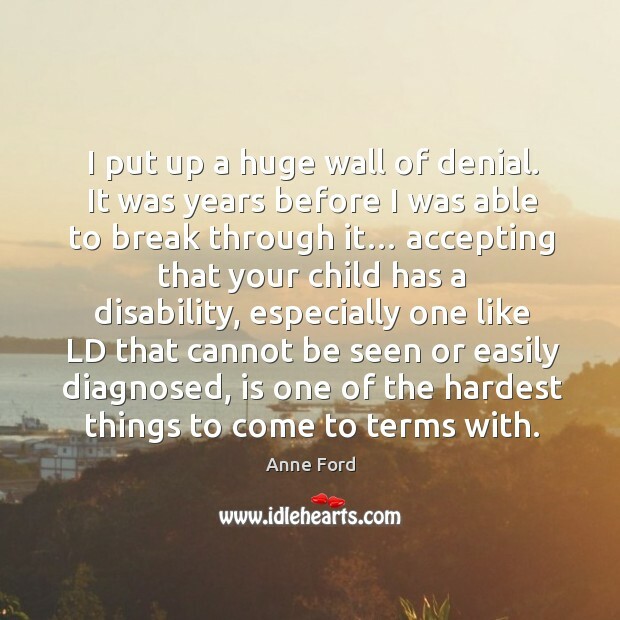 It was years before I was able to break through it… accepting that your child has a disability, especially one like LD that cannot be seen or easily diagnosed, is one of the hardest things to come to terms with.